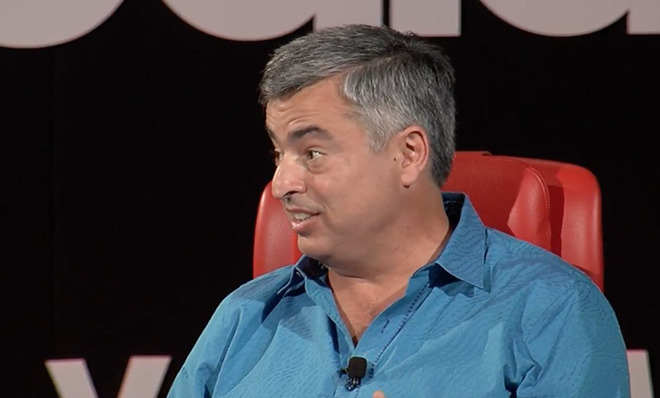 Apple's internet service chief Eddy Cue in an interview Monday night said the tech sector has a responsibility to protect consumers from the recent scourge of fake news, revealing Apple is working on backend solutions to the problem. When asked about fake news, Cue said it is the onus of all companies in the technology and services industries to ensure the problem does not spread. To do so, news sources and companies who disseminate news, like Apple and its News app, need to halt the spread of fake news whenever possible. Since last year's presidential election, fake news has quickly morphed from a disinformation campaign to a real journalistic problem. A number of websites are dedicated to churning out false news stories that often reinforce previously held beliefs on hot-button topics like immigration, crime and the economy. These fake news items go viral on social media outlets like Facebook, and while most are recognized as false, some make it into the legitimate news cycle. The issue has also impacted the highest levels of government, with Trump advisor Kellyanne Conway spreading her own bit of misinformation by justifying the president's travel ban as a response to terrorist acts like the "Bowling Green massacre." The referenced incident never happened. She later claimed to have referenced the arrest of Iraqi refugees in Bowling Green, Ky., in relation to charges of allegedly aiding terror organization al-Qaeda. Apple does not have an answer to fake news "by any means," Cue said, but the company is working on methods to combat its spread. "We wanted Apple News to be available to everyone, but we want to vet and make sure that the news providers are legitimate," he said, adding, "We're very concerned about all of the news items and the clickbait from that standpoint, and that driving a lot of the news coverage," he said. "We're trying to do some things in Apple News, we're learning from that and we need to share that together as an industry and improve it." Cue failed to detail what, exactly, Apple is trying to do with Apple News, but he seemed adamant that the entire industry needs to workshop a solution. The revelation comes after Apple CEO Tim Cook in a recent interview said fake news is "killing people's minds."